We apologize for any inconvenience this may have caused and have automatically refunded your order, including fees, (except UPS if applicable), which will appear on your credit card within 7 – 10 business days. 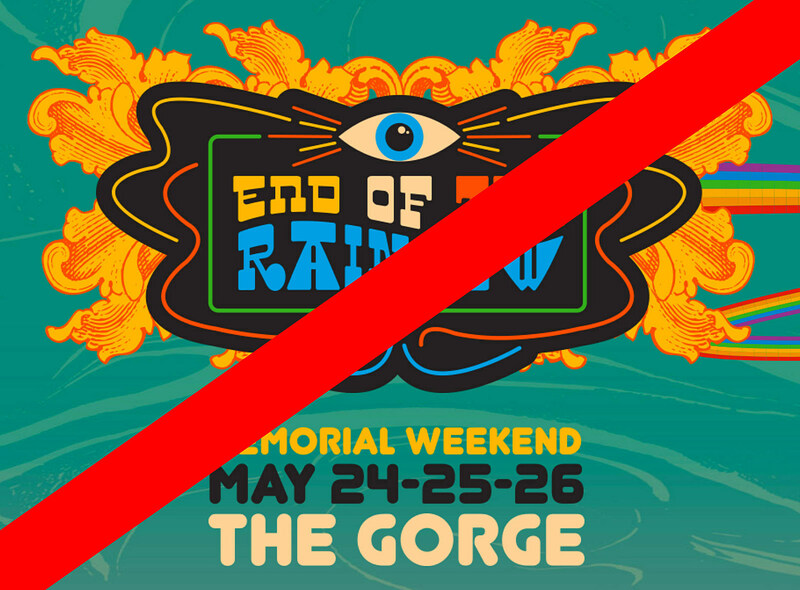 End of the Rainbow’s official website is down, an its social media accounts have been taken offline. Bassnectar was scheduled to headline the rap and dance music-focused festival, and Lil Uzi Vert, Young Thug, Griz, Trippie Redd, Santigold, Gogol Bordello, Tom Morello, Vic Mensa, Flosstradamus and more were also set to perform.